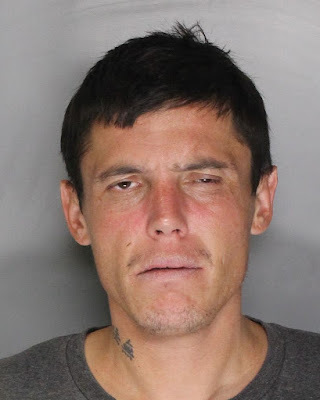 An Elk Grove man who is on probation was arrested after a witness saw him attempting to break into a vehicle. At approximately 2:30 a.m. on Wednesday, October 10 a witness observed Edward Francisco Ramirez, 32, allegedly attempting to vandalize a car on the 9300 block of Elk Grove-Florin Road. Responding Elk Grove Police officers contacted Ramirez as he was entering his nearby dwelling. Ramirez resisted but was detained. A record check revealed Ramirez is on probation and officers observed damage to the vehicle he was attempting to vandalize. The suspect is held on a $50,000 bail and will be arraigned on Thursday, October 12.